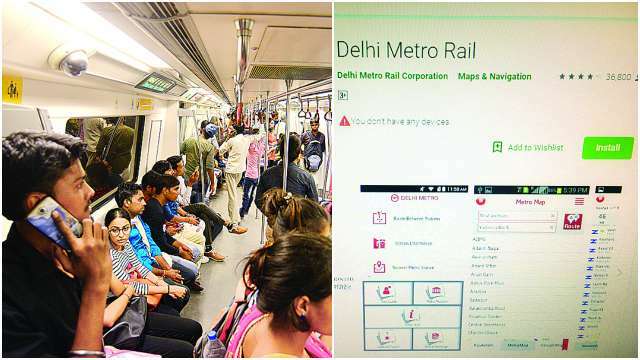 With the Magenta Line fully operational, the Delhi Metro Rail Corporation (DMRC) has added new features to its app in tandem with the new corridor. The updated app will serve as an all-encompassing guide on the five-inch mobile screen, offering information on routes, fares, tourist places in the national Capital, among others. The app will come in handy for those visiting Delhi for the first time as it will have all the details of all the six lines that are currently functional, 250 stations, and interchange points. Commuters will be able to plan their travels using the app with the trip planner feature that will show which Metro to board, where to change and the travel time also. It also facilitates smart card users who can recharge their travel cards using the app. “The Metro now runs through 390 kilometres, having 250 stations on its route. It is difficult to remember all the routes with so much of expansion going. Hence, we have updated the app, bringing everything on fingertips,” said a senior Metro official. Another feature added in the app is of the nearest Metro station, using which people can find out the station closest to their location. It will navigate the user to stations within 4.5 km of the periphery as well as their distance from his/her location. The app also has details of historical places, famous tourist destinations, shopping centres in Delhi, acting as a tourist guide for the user. The DMRC also plans to bring in a list of restaurants, hotels etc in its next update. The app is available on the website of the rail corporation and Google Play and Apple store. The DMRC, recently, launched the Janakpuri West – Kalkaji Mandir section of the Magenta line, which is the longest stretch opened so far in Metro’s Phase 3. The 24.82 km long section has 16 stations, including interchange facilities at Hauz Khas (with Yellow Line) and Janakpuri West (with Blue Line) and is part of the Magenta Line from Janakpuri West to Botanical Garden in Noida.